11/1 - Recap of last year's effort (which went badly.) 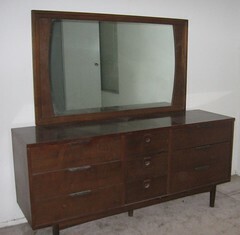 Moving report, and a picture of a piece of furniture we're trying to get rid of. Money matters. 11/2 - (Time on entry: 6:09am) Complaining about waking up too early. Worrying about whether this makes me like my mother. Attempt to make you jealous about the l33t-ness of my new computer. Musing about breakfast. Plus bonus meme! 11/3 - Random bits about moving. Links to stuff we bought at the Container Store. 11/4 - Report on the quilt show I just went to, all the pictures I took and who I talked to (or didn't). 11/5 - Complaining about partially-completed defensive driving class. What I did (or didn't do) on my day off. 11/6 - Picture of a quilt that somebody else made. Link to more pictures of quilts I didn't make. Weather report. Complaining about work. 11/7 - Hatred of word "webinar." Weight-loss talk, with link. GuildWars talk, with screenshot. 11/8 - General complaining. Link to TMI from last year about medical procedures. Musings about local news story and the national attention it's gotten. Complaints about neighbors. Passive-aggressive bragging/complaining about all those damn quilt pictures. 11/9 - Complaints about sleep and general tiredness. Money I spent and haven't told my husband about. Baseball, possible Christmas presents, and whether the weather will be bad soon. Link to NaBloPoMo Randomizer. Bitching about general quality of other people's posts, without irony. 11/10 - "Today in History" Wikipedia link. Report on Saturday activities, including shopping. Holiday plans. Additional post later includes a summary of a deleted rant about the word "mommyblogger". 11/11 - More complaining about defensive driving (finally completed). Other Sunday activities. 11/12 - Meme. Locked post complaining about family holiday matters. Public post mostly concerns a popular reality show. 11/13 - Another meme. Possible future travel plans. Vaguely-related rant about matters Southern. Yet another meme. Sleepy (and misspelled) bragging about the dungeon we just completed in GuildWars. 11/14 - Weather report. Links to pictures of the quilt that was on my bed, the one that's now on my bed, and the one that may be later. Vaguely-worded family story, with self-justification. Report on progress of unpacking. Spelling correction from yesterday. 11/15 - Um, that would be this, the meta-entry. Which is sort of a meme in itself. I am feeling terribly foggy-brained the last few days. Not that it's unusual for me to have trouble concentrating, but it seems like it's unusually bad. Maybe because I haven't been sleeping too well. I don't know why that is either, though. New house? I don't know why that'd bother me but it's possible. It's not the thumping I was talking about yesterday - that's not audible at all from the bedroom, only the living room.